JUNEAU, Alaska (Jan. 12, 2017) – Husky sled dogs are bred for the perfect characteristics to carry them to the finish line. Breeders look for endurance, strength, speed, tough feet, a good attitude and drive. Mosaic hops come from that same pursuit of perfection and serve as the centerpiece of Alaskan Brewing spring seasonal Husky IPA. Inspired by brewers’ experimentation with a SMaSH Mosaic brew (SMaSH stands for Single Malt and Single Hop brew), Husky IPA seeks to take the Mosaic hop’s best characteristics to the finish line, providing for a juicy IPA with tropical and stone fruit flavors and a bright aroma of tangerine and papaya. Husky IPA, released in January, features on its label a Husky cresting a snowy ridge on the label. The Husky — bred for Alaska’s tough climate and expansive and unforgiving terrain — is the ideal choice for teams taking on long-distance races, whether 50 miles, 100 miles or 1,049 miles — the length of the Iditarod Sled Dog Race, of which Alaskan Brewing is a sponsor each year. 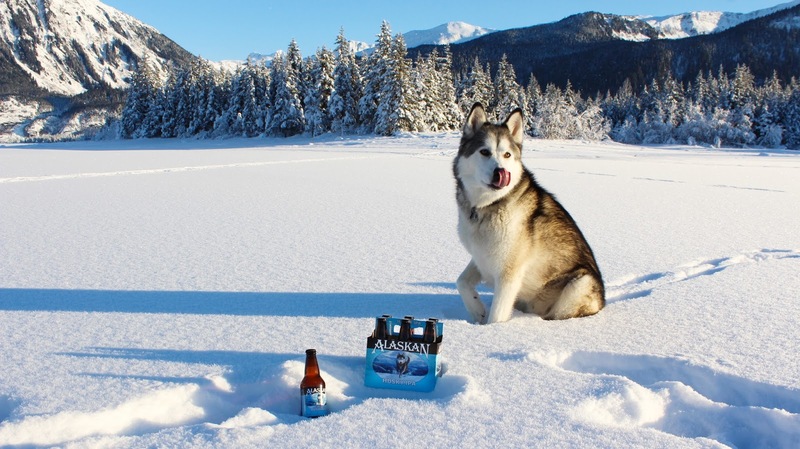 In addition to supporting the Iditarod, Alaskan Brewing is supporting local animal organizations around the US with its Alaskan Ales for Tails program this spring. At participating locations, $1 from every pint of Alaskan Husky IPA purchased will be donated to help local pets have better lives. 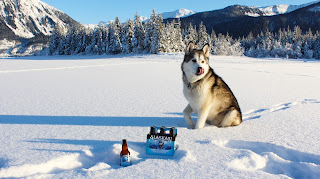 Alaskan Brewing will make donations benefiting nearly 20 organizations from Alaska to Ohio, including Project Delta in Minnesota, which pairs rescue dogs with soldiers and first responders who experience Post Traumatic Stress Disorder, and Straw for Dogs in Alaska, which helps to provide safe and warm bedding and shelter for outdoor dogs across the state. “Dogs are a valuable part of our lives in Alaska, whether working hard pulling sleds or rescuing missing persons or simply as companions for a hike or at home,” said Alaskan Brewing Co-Founder Marcy Larson. “Making contributions to animal organizations allows others to enjoy the benefits of a canine companion, in all aspects of life." Husky IPA will be on the shelves from January through April where Alaskan Beer is sold. The Ales for Tails program will run during the same time frame at select locations around the US. Alaskan Brewing Co. was founded in 1986 in Juneau, Alaska, by then 28-year-old Marcy and Geoff Larson. Alaskan Brewing just celebrated 30 years of award-winning craft beer from the Last Frontier, with distribution in 18 states across the US. For more information, check out Alaskan Brewing’s website at www.alaskanbeer.com.